In this podcast, LodgIQ’s Fabian Bartnick and Glenn Haussman, host of No Vacancy podcast, discuss the evolution of data analysis. Be sure to check out the first part of this discussion. 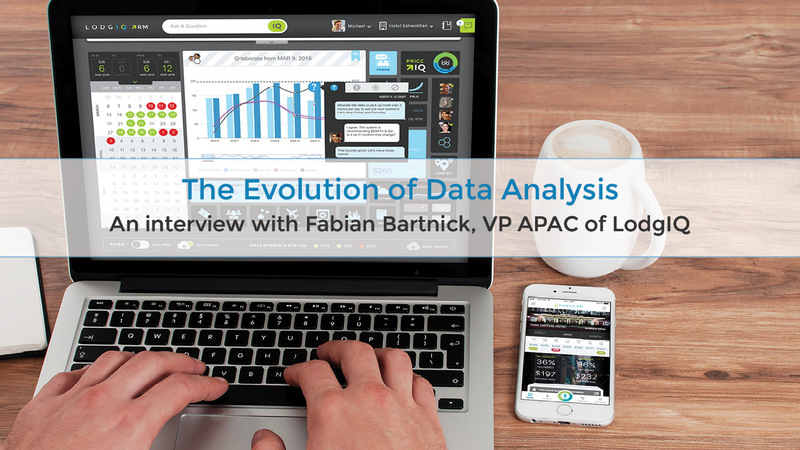 The analysis of data is an evolution. Revenue managers must first understand the basics provided by descriptive and diagnostic analytics to fully understand and utilize the information provided by prescriptive and predictive analytics. For example, in your revenue management spreadsheets, you evaluate historical data, maybe apply a couple of day of week statistics. What you aggregate when applying average, counts, and sums is a very lightweight version of descriptive analytics. Diagnostic analytics is the next phase, determining why something happened. Techniques such as data discovery and mining, drill-down, and correlation help us to understand the causes of behaviors and events. The next phase, predictive analytics, determines what could happen. Looking for sequences and patterns within the data to make logical assumptions about what will happen. Prescriptive analytics is the next level, and also the most analytically complicated, of data analysis. Evaluating myriad data points and scenarios in real time to determine the best course of action, identify future opportunities, and mitigate risks. Even in the larger hotel chains, we are seeing predictive and descriptive analytics utilized regularly while prescriptive analytics are not. While prescriptive analytics are complicated and require advanced computing power, technology like LodgIQ’s has never made it more accessible (or affordable) for hoteliers.